Chennai: The Madras High Court today issued a notice to the Apollo Hospitals on a plea by a woman, who claims to be J Jayalalithaa’s daughter, seeking to know if it had preserved “biological samples” of the late chief minister collected during her hospitalisation there in 2016. Justice S Vaidyanathan issued the notice on a sub-application by the woman, who has already filed a petition claiming to be the biological daughter of Jayalalithaa and seeking a direction for a DNA test to establish her parentage. In her petition, the woman has claimed she had been given in adoption to Jayalalithaa’s sister and her husband decades ago and she came to know about it from her foster father in March last year before he died. She has also sought a direction to exhume the body of Jayalalithaa and enable her and her family to create it on grounds that the late leader was an Iyengar Brahmin. Moving the application, counsel for the woman submitted that for DNA matching it was necessary to know whether the biological samples of Jayalalithaa had been preserved by the Apollo Hospitals where she died in December, 2016, after being treated for 75 days for various problems. The counsel said they had sent a notice to the hospital in this regard but there was no response. Hence, they were constrained to file the present application seeking a court direction to the hospital to state whether they had preserved biological samples of Jayalalithaa or not. In the resumed arguments on the maintainability of the main petition, Tamil Nadu Advocate General Vijay Narayan sought time to file the state government’s counter. He said since the claim of the petitioner (adoption) was said to have taken place 30 years ago, records of the period were being verified and hence sought time. 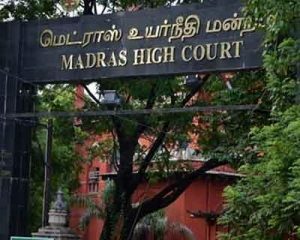 Counsel for the petitioner and the government also opposed the plea of AIADMK Karnataka state unit leader K A Pugazhendhi and one P A Joseph seeking to implead them as parties to the petition. The judge then adjourned the matter until March 7 for further hearing. In response to the court’s directions, Jayalalithaa’s niece Deepa and nephew Deepak have filed counter affidavits opposing the claim of the petitioner woman. While Deepak had dubbed the claim a bundle of lies, Deepa alleged the petition had been filed with an intention to cheat and grab properties of Jayalalithaa. Disputing the woman’s version that she was given in adoption to Shylaja, claimed to be Jayalalithaa’s sister, Deepak said Jayalalithaa and her brother Jayakumar (father of Deepak and Deepa) were the sole legal heirs of Sandhya, their mother. The woman had last year moved the Supreme Court with the same prayer but the latter refused to entertain it. The apex court, however, had said she was at liberty to approach the high court.